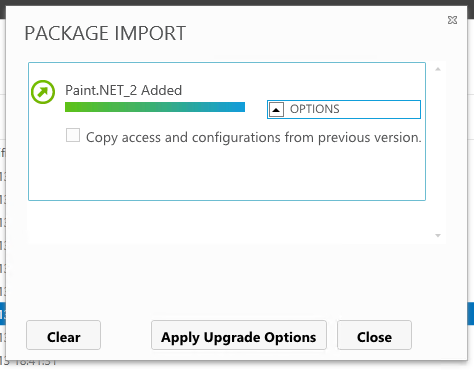 The workflow for package upgrades is pretty similar in App-V 5.0 as it was in 4.5, however there are now a few added benefits around phased targeted rollout of App-V upgrades…. Notice the tick box that says “Copy access and configurations from a previous version”. The console understands that this is an upgrade to an application and offers to copy over the access permission and configuration items from the version that is already present. I can see this being useful to people who have a long list of entitlements on a previous packages and want these to now apply to the latest upgrade. In this case I am going to leave the box unticked. Now the package is imported and we can see the console has automatically stored it a version 0.0.0.2, no manual work was required to connect this package to the previous version. Another interesting note is the defaults mean this package has no AD access specified against it and neither is it publish. This a move away from the auto-upgrade we had 4.5 whereby as soon as you published a upgrade it was automatically published and made available to all users with access. 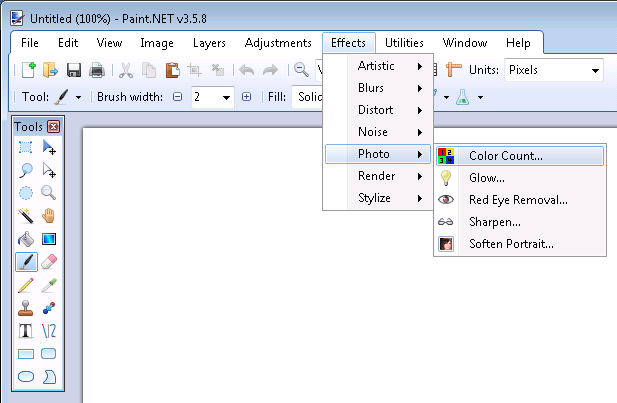 Now only users in this particular group would get the upgraded version of Paint.NET and all other users would continue to use the previous version. To learn more about how these upgrades are streamed into cache and how differentials are handled click here. Thanks Thamim. It is really very useful. I want to look at the reverse scenario. Is there any possibility that can I get the older version if I remove the latest version package ? Yes roll back is also possible and works just the same but reverse!